Bermaz Auto (Bauto) reported another strong set of results - 9MFY19 core net profit more than doubled to RM206m, driven by higher revenue (+37% yoy), improvement in EBITDA margin and higher contribution from its 30%-owned associate, Mazda Malaysia SB (MMSB). Overall, the results were ahead of expectations – 9MFY19 core net profit achieved 93% and 86% of market and our full year estimates. We are raising our FY19E EPS forecast by 12% while maintaining FY20-21E estimates. Despite the expected dip in FY20E earnings, valuations still look appealing at 10x PER and 6% dividend yield for CY19E. 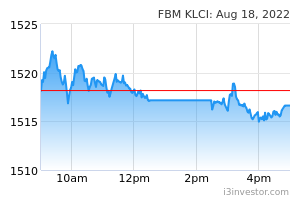 We reaffirm our BUY call and higher TP of RM3.05. Notably, Bauto’s earnings growth accelerated in 3QFY19 to RM82m (+86% yoy; +11% qoq), driven by higher revenue and higher contribution from associates. Revenue jumped to RM778m (+39% yoy; +13% qoq) driven by continued strong demand for Mazda vehicles (Fig 2). While 3QFY19 associates contribution climbed to record high at RM19m (+189% yoy; +3% qoq), we believe this will likely normalise in 4QFY19 as we began to see sales momentum from MMSB drop by 10% qoq. Cumulatively, Bauto’s 9MFY19 core net earnings grew by 133% yoy to RM206m, accounting for 86% of our full-year FY19 forecast. The deviation lies in higher-than-expected revenue and higher contribution from MMSB. The push for higher CKD CX-5 models (CX-5 sales volume more than doubled to 8.5k units) continues to drive margin expansion, leading to a 2.2ppts yoy uptick in the 9MFY19 EBITDA margin. 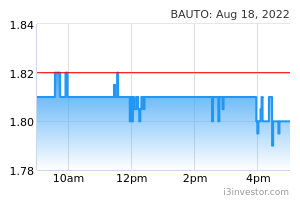 Elsewhere, Bauto declared a bumper 4.5 sen interim dividend in 3QFY19, bringing 9MFY19 dividends to 10.75sen (vs. 9MFY19 DPS of 5.4sen). Unfazed with the stiffer competition (ie. Proton X70, Nissan facelifted XTrail and Perodua Aruz), management is still positive on its prospects with its unfulfilled bookings of >2k units to support 4QFY19 earnings. Also, the expected launch of the all-new Mazda 3 and all-new Mazda CX-8 should keep Mazda fans excited moving in FY20E. Nevertheless, we think earnings may soften in FY20E, taking the view Bauto’s best-selling SUV model, CX-5 (68% of 9MFY19 sales volume) model life cycle gradually matures. To recap, 9MFY19 results were also partly lifted by the higher vehicle sales during the tax holiday boost.